This is where dent and body damage repair services from Foreign Car Body Shop of Birmingham, AL, shops come in, getting all minor and major surface damage evaluated and fixed instantly. The technicians will survey the whole vehicle, determine the extent of the damage, and take appropriate steps to fix it. At Foreign Car Body Shop of Birmingham, AL, our trusted local technicians have years of experience on handling any auto body repair service to keep you running trouble free. 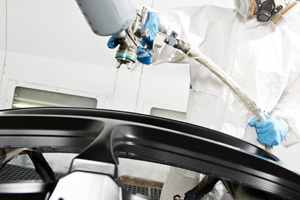 We are dedicated to offering complete, fast, and reliable Auto Body Repair for all makes and models in Birmingham, AL. Located in Birmingham, AL, we take pride in using our knowledge, expertise and high-quality service to make sure you leave our shops satisfied.We use the very latest in auto body technology to make sure your car is returned to factory standards. At Foreign Car Body Shop of Birmingham, AL, your car is in great hands with our professional team of technicians that will make sure your car running in excellent condition for the years to come. So feel free to call us and ask us any questions you may have about the performance of your vehicle.